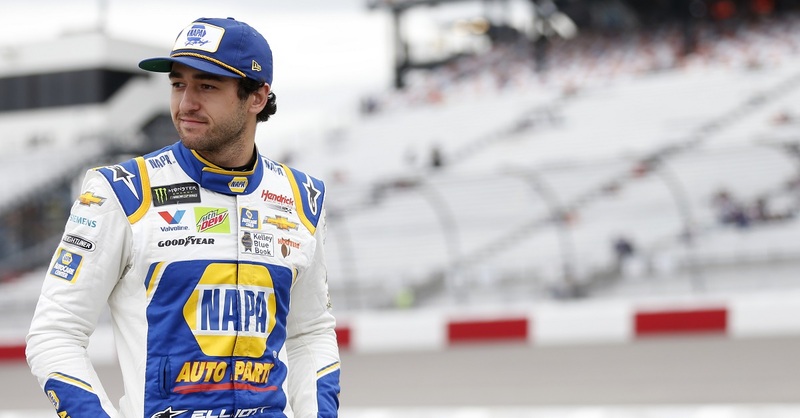 Chase Elliott and the NAPA Nightvision Lamps team raced inside the top ten for much of Sunday’s race at Talladega Superspeedway before a last-lap accident relegated the No. 9 to a 31st-place finish. Elliott and the No. 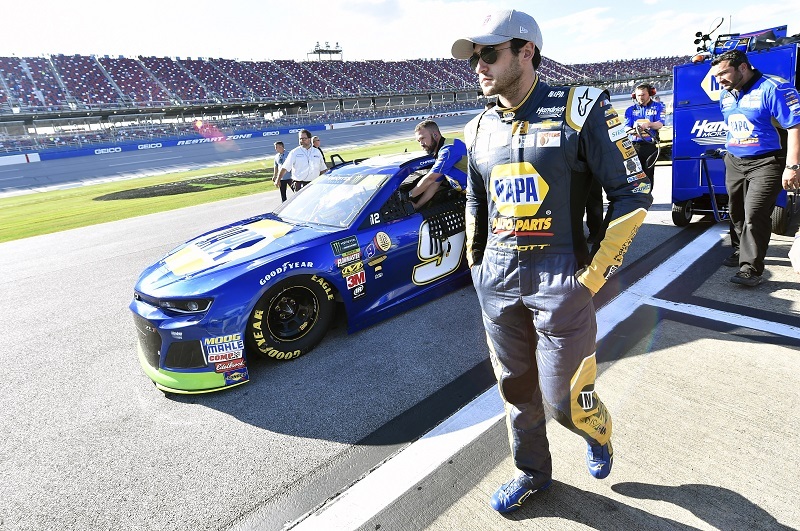 9 NAPA Nightvision Lamps team took the green flag in fifth at Talladega Superspeedway. When an early caution came out on Lap 12, the NAPA team elected to visit pit road for fuel only. Elliott returned to the track and took the ensuing restart from eighth. He maintained his top-ten position through the duration of Stage 1 to take the green-checkered flag in seventh despite coasting across the line after running out of fuel coming out of Turn 4. Due to the No. 9 team’s fuel situation, crew chief Alan Gustafson called Elliott to pit road for four fresh tires and fuel before pit road was open. Elliott was penalized for pitting before pit road was open and was forced to take the Stage 2 green flag from the rear of the field. Elliott went to work quickly in Stage 2. By Lap 87, he was back inside the top 15. The Dawsonville, Georgia, native tried on multiple occasions to get a high line rolling, but couldn’t gain any momentum. 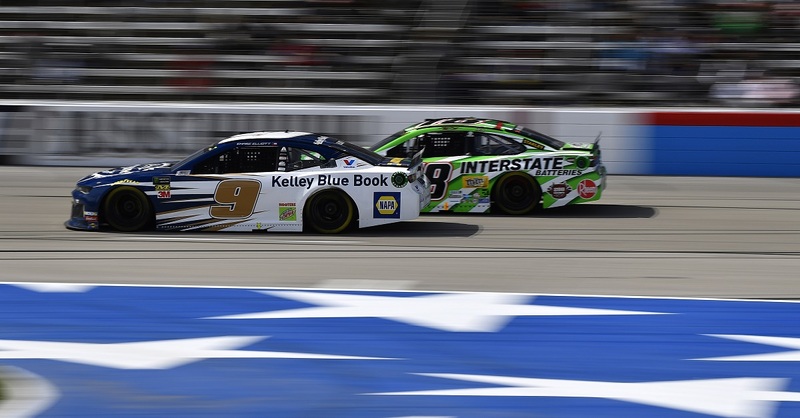 After a quick caution on Lap 105, Elliott went three wide and eventually moved to the bottom line, settling in behind teammate Alex Bowman before ultimately finishing the segment 15th. 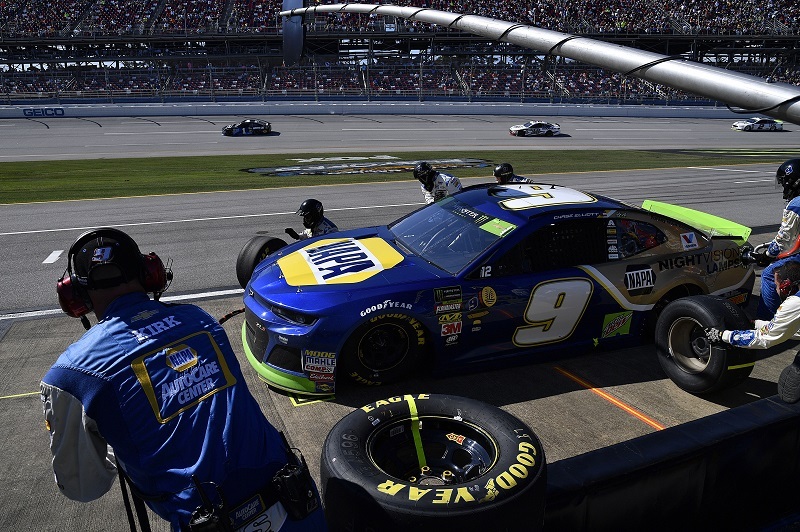 During the stage break, Elliott visited pit road for four fresh tires, fuel and a chassis adjustment and the NAPA Nightvision Lamps Chevrolet Camaro ZL1 lined up 21st for the ensuing restart. The No. 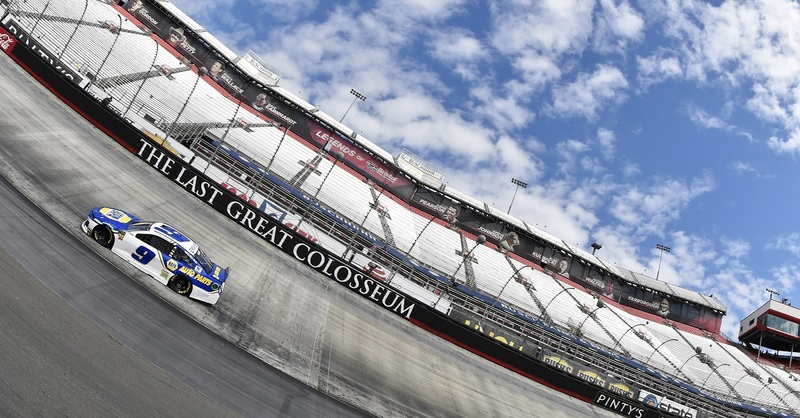 9 driver steadily climbed his way back inside the top ten and was up to sixth by Lap 131. Elliott continued his charge to the front and worked to keep the high line rolling, but two laps later it fizzled out, dropping Elliott to 12th. 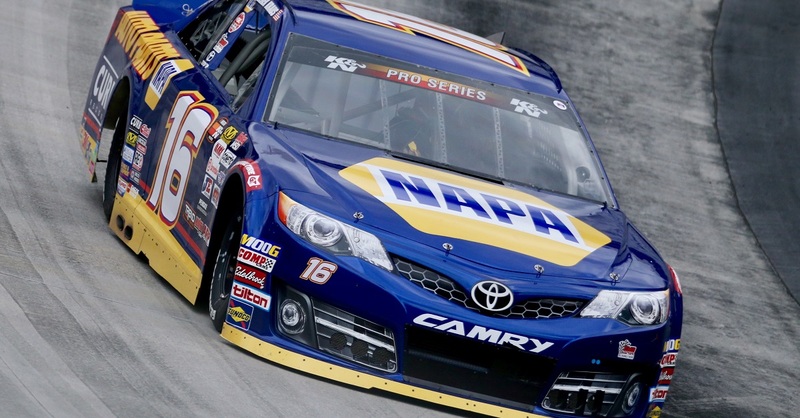 Following a caution with under 30 laps remaining, Elliott reported he was happy with the handling of his NAPA Chevy. After a quick pit stop by the No. 9 team, Elliott lined up 11th for the restart on Lap 165. He gained some momentum and was scored sixth as a 12-car breakaway began. Elliott remained persistent in trying to make the high line work but was once again unsuccessful as he fell to 11th. The No. 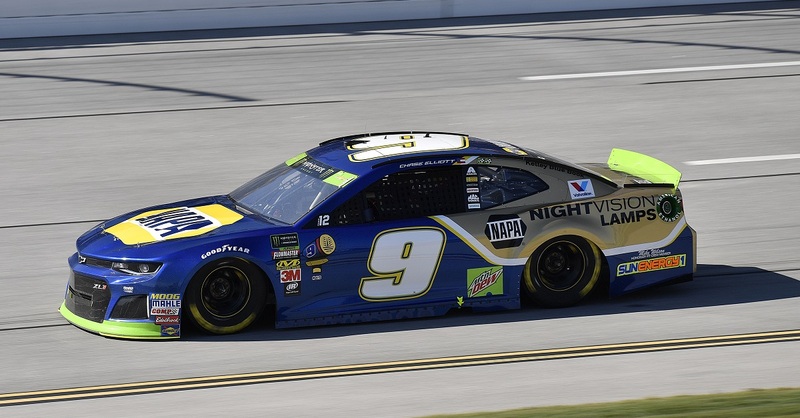 9 NAPA Chevy continued to race inside the top 15 when the final caution of the race waved at Lap 187. Elliott received minor damage from the on-track accident that brought out the caution and sent the race into overtime. On the final lap, Elliott was involved in a multi-car accident, resulting in a 31st-place finish. Playoff Points Standing / Total: 8th (advancing on to Round of 8) / 3066 pts.